As I mentioned yesterday we have been on the outskirts of Washington DC attending a get together of Papillon dogs and their loyal human companions. 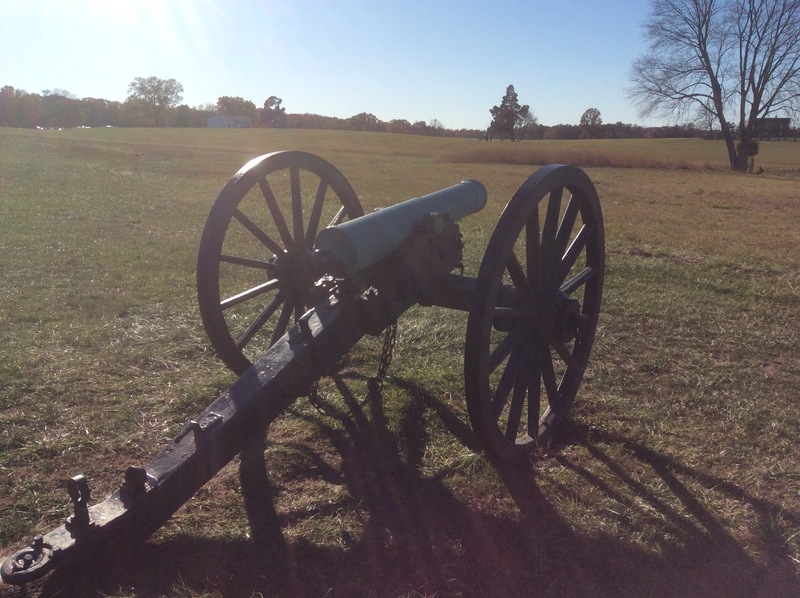 Since the meeting was breaking up today and since we are remaining until the morning to see another friend in the area, I took a trip to the Manassas Battlefield National Park. The First Battle of Manassas, or Bull Run was the first major battle of the American Civil War. At the time it was the largest and bloodiest battle fought on the North American continent. The combined strength of both armies was close to 70,000 men, although both sides only committed about have of their men to the battle. On the day of battle about 850 Union and Confederate troops were killed and another 2600 wounded. The armies and their commanders were inexperienced and but for the stand of the brigade of General Thomas Jackson the affair may have led to a Union victory. But instead it was a Union defeat. Even so the battle showed the leaders of both sides that the war would neither be short, nor bloodless. It was a wake up call to both and though the number of casualties shocked the Union and the Confederacy, the number of casualties would pale in comparison with so many later battles. Compared to Gettysburg or Antietam the battlefield is relatively devoid of markers or memorials and most of the ones here commemorate Confederates. But then the battlefield is in Virginia and these were all built by the state of Virginia or Confederate veteran organizations. 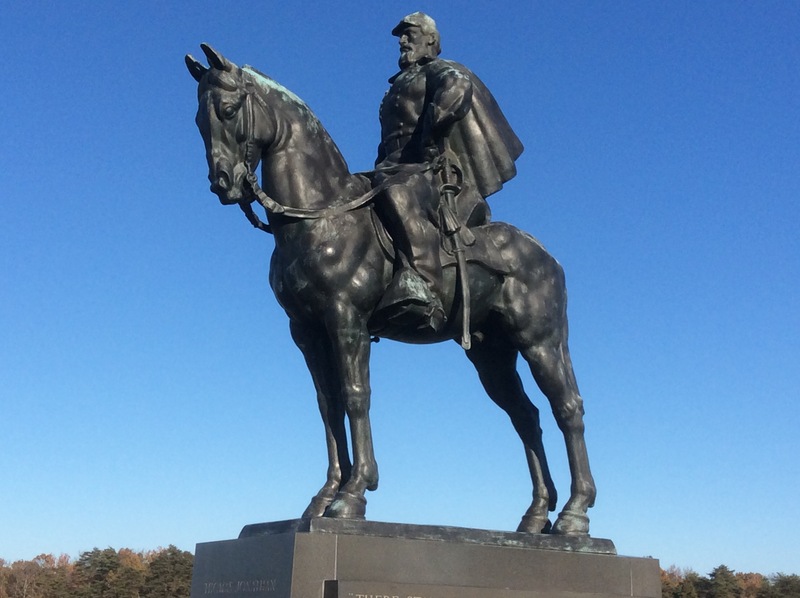 Even so the number of monuments is tiny compared to Gettysburg or Antietam, and the largest was errected in 1938 and dedicated to Stonewall Jackson, and compared to monuments on other battlefields seems almost looks like a superhero rather than a real flesh and blood person. But then such is the myth of Stonewall Jackson, to many people then and to others even today, the myth overshadows reality. As I walked around I spent most of my time reflecting about the Civil War and what our country is going through now. I read a statement by the leadership of the League of the South after the election of Donald Trump which read like the speeches of secessionist leaders in early 1861. I will take the the time later to post those statements so you can compare them, just not now. They make fascinating, if not frightening reading when you read them and realize that 166 years have past and the League of the South, the KKK, and other White Supremacist groups have not altered their thinking since before Bull Run. I wonder what will happen if Donald Trump does not reign in his most ardently deplorable White Supremacist supporters, or if he miscalculated the effect his words word actually have on people and he won’t be able to dial things back. I am beginning to believe that he is not nearly as prejudiced or hate filled as many of the White Supremacists who rallied to his banner. That remains to be seen, but all over the nation there are violent incidents by people claiming to be Trump supporters against minorities of all kinds. I just hope that the many more people who voted for Trump because he was not Hillary, or because he was a supposed outsider will not stand by silently like the vast majority of Germans who said nothing and did less when the Nazis launched their persecution of the Jews, other ethnic minorities, and political opponents during the Third Reich. I honestly don’t think that the majority of those that voted for Trump are racists, yet ther are a significant number that are and that fact cannot be ignored. So there was a lot to think about at I walked that seven mile long loop around the battlefield. These are things that I will continue to ponder and write about as we enter the Trump era.